After 82 long and agonising days filled with endless rumours and record transfers, today is the day we have all been waiting for. The Premier League is back! 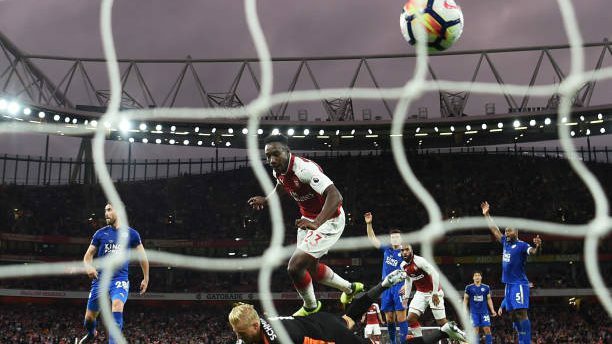 Arsenal hosted Leicester City at The Emirates to mark the start of the 2017/18 campaign with a thrilling match that set the bar high for the rest of the Premier League season. Alexandre Lacazette, Mesut Özil and Danny Welbeck were all present in Arsenal’s starting XI against Leicester City, who started with Jamie Vardy, Shinji Okazaki and Riyad Mahrez. 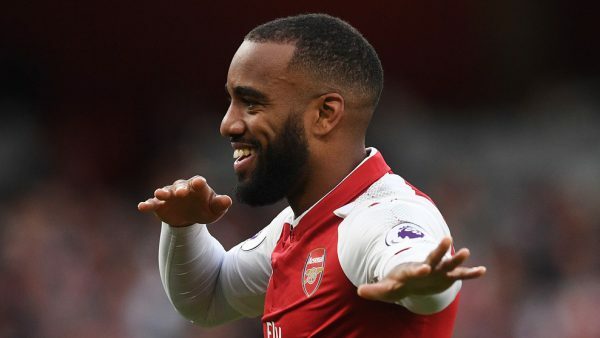 It took Alexandre Lacazette less than two minutes to find the back of the net and score the first goal of the season, equaling the league record for the quickest opening day goal. 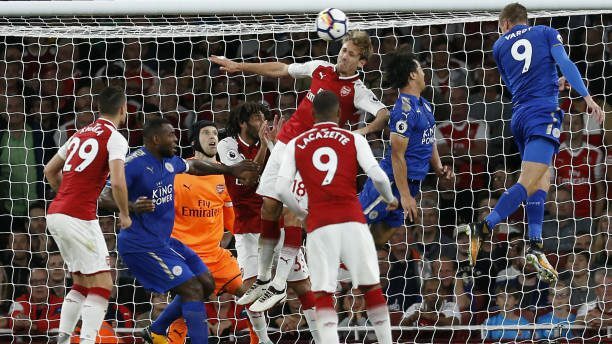 Arsenal’s new signing headed the ball in from a Mohamed Elneny cross from the right, only to be shut down by Leicester’s Shinji Okazaki, who equalised just three minutes later. Two goals five minutes into the match. Thank you, Premier League, we have missed you. 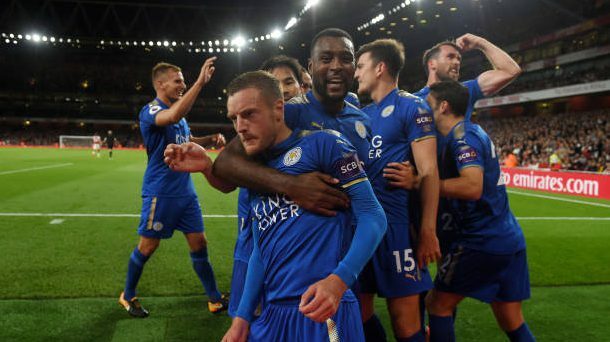 Then, out of nowhere, Jamie Vardy fired a shot from six yards out and put Leicester ahead in the 29th minute. Things were looking pretty settled, but Arsenal weren’t pleased to go into the half-time break a goal behind. So, Danny Welbeck scored a semi-scruffy goal in the last few seconds of extra time to make it 2-2. The second half started with a couple of long balls and off-target shots, until Arsenal graced us with another shocking display in defence. A totally-unmarked-Vardy scored his second goal of the match from a Mahrez corner in the 56th minute to make it 2-3. Arsène Wenger bet on a double substitution to try and respond to the battering that Leicester City’s was handing Arsenal. Rob Holding and Mohamed Elneny off for Aaron Ramsey and Olivier Giroud. Then Theo Walcott came on for Welbeck. It didn’t take long for the Ramsey to equalise in the 83rd minute, a goal quickly followed by a brilliant header (of course) by Giroud in the 85th minute. What just happened?! Although Giroud’s contibution led Arsenal to victory, our man of the match is Jamie Vardy. 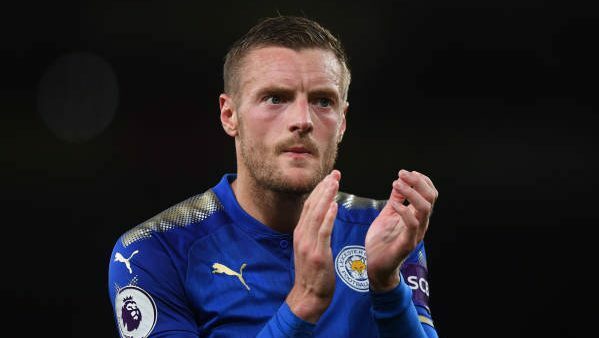 He was awesome and reminiscent of the quality, pace and consistency that he showed during Leicester’s triumphant season two years ago. Well done, Jamie. More of that, please. Arsenal’s abysmal defence was the star of tonight’s season opener and Wenger, who should thank the forwards for saving this match, looked furious. 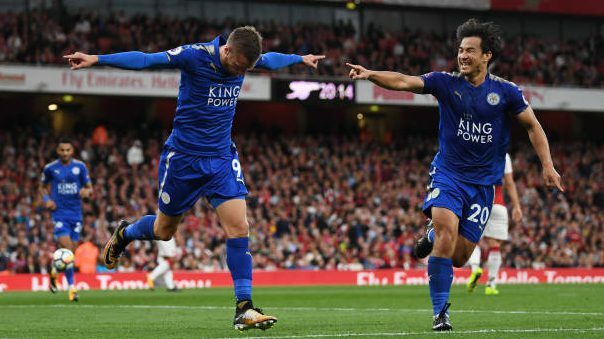 The centre-backs were seemingly incapable of standing up to Leicester’s attacking display, with new boy Sead Kolašinac taking on extra criticism for his positioning during Okazaki’s goal. Then there was that Mahrez corner, during which nobody thought of marking Leicester’s star player, Vardy.